I have more than 40 kinds (neatly organized by level of caffeine) and love them all. I am not a coffee drinker, but instead could easily drink 3 or 4 cups of tea daily. I love the health benefits of tea and the variety of flavours. There’s nothing like finding the perfect cup of tea for your mood, whether its a hot steeped cup of cream of earl grey with milk and vanilla or a refreshing iced lemongrass tea with honey. 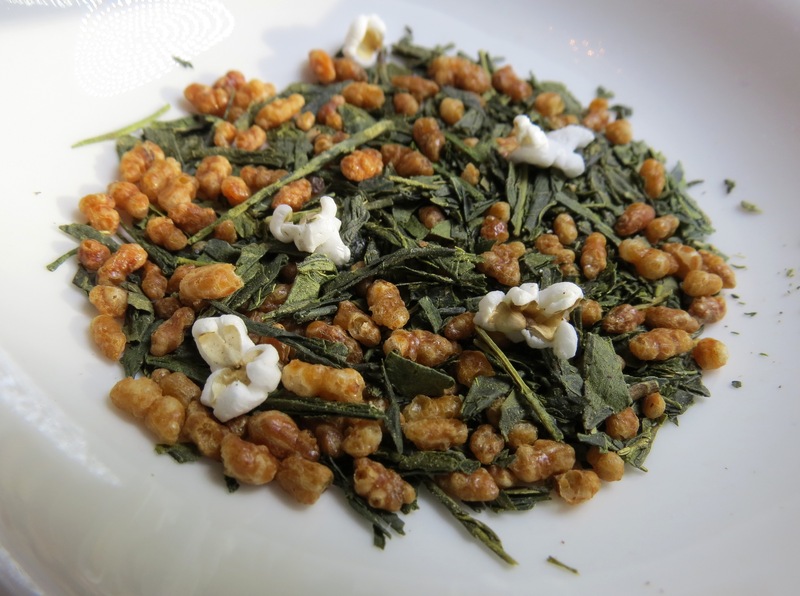 Today, since I’ve been feeling a bit off, I brewed a perfect cup of genmaicha green tea. Hopefully all those antioxidants kick in to make me feel better! This is by far my favourite green tea (and the one I use to make seabuckthorn tea). It’s a Japanese tea which is often served at sushi restaurants. The tea is a mixture of green tea leaves and toasted brown rice. Some of the rice kernels are popped which makes them look like tiny pieces of popcorn. I usually get this tea from Davids Tea but it’s very popular and you can find it at many places, including Asian grocery stores. It brews a nice yellow or light green colour and tastes smooth with a mild nutty flavour from the toasted rice. I had my cup plain today but it is also good with honey or lemon. 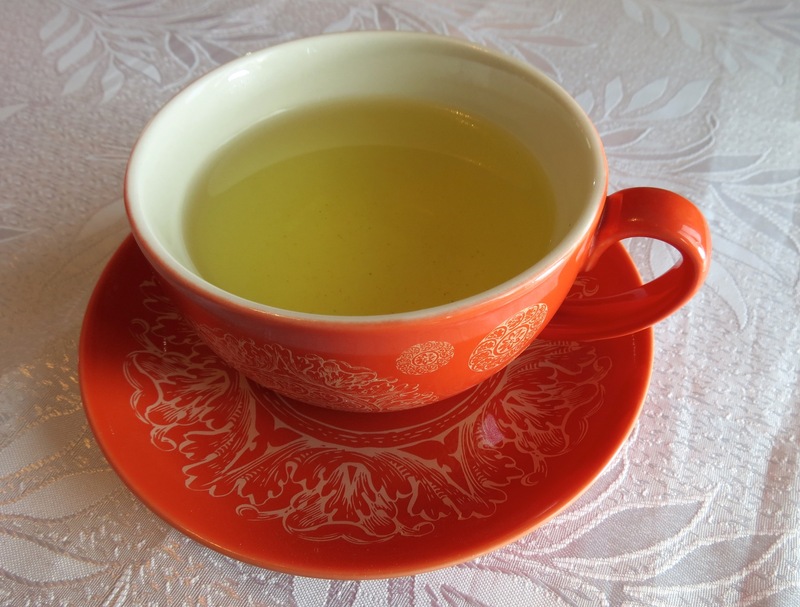 It should steep for about 2 -3 minutes and like all green tea, should be made with water that is about 80°C. Boiling water is too hot for green teas.